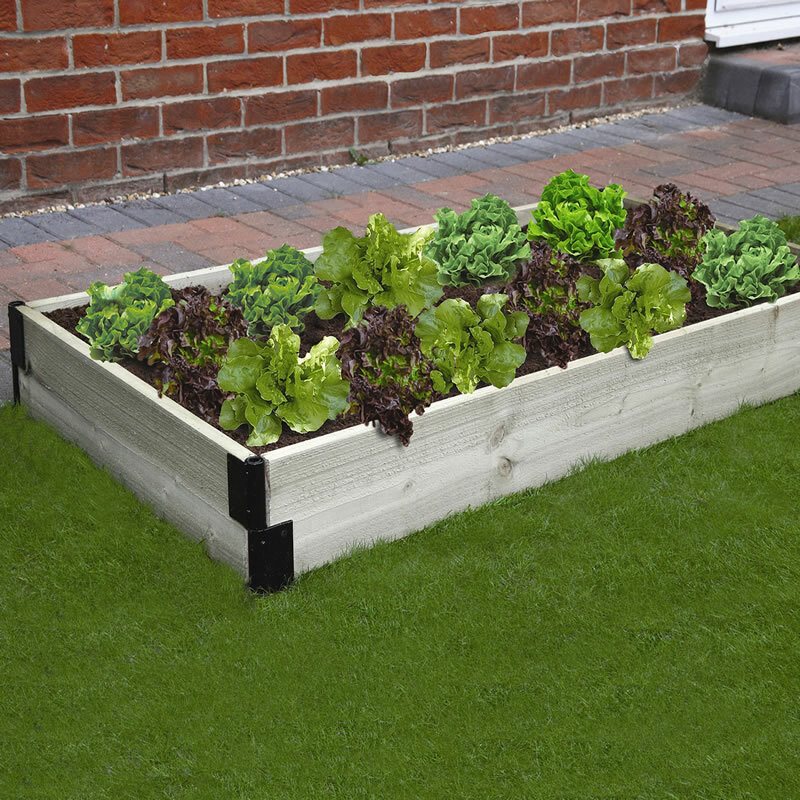 These innovative raised bed brackets allow you to make any size or shape raised bed required. Each kit comes with four brackets and screws making one tier. Simply add tiers to create the height you require. Timber required needs to be 22mm x 150mm - these can be purchased from ourselves or sourced locally. Very good. An initial problem very quickly resolved. Lovely gesture of a teabag & kit-kat. Left me with the wood that had arrived by mistake. All good. Very good way of fixing a raised bed. Can be added onto to make a deeper bed. Haven't built them yet - but should be OK.
Super easy to assemble. All you need is a saw and a hammer.